Click 'Work' button on FacultyBox home page. This will take you hardly 2 minutes to fill up. Just submit your information, verify your mobile number and enjoy the various benefits of being a FacultyBox faculty member. 2.Mobile number and E-mail - Is it compulsory? Yes, mobile number and e-mail is needed to verify and complete your registration and also ensure account safety. 3. How do I activate my account on FacultyBox? Click on the activation link sent on your registered email. This will enable your account with us. 4. Can I update the email id? Email id cannot be changed as it is mapped to your account at the time of registration. 5. How do I change my password? To change your password, Click on Your name shown at right top corner and select change my password. Save your updated password. 6. How do I update my mobile number? Go to your ‘Profile’ page, click the ‘Personal Information’ section under Profile menu and then change your new mobile number. Please remember to click ‘Save’. 7. How do I update profile details? You can update your profile information divided into three sections – Personal Information, Qualification & Experience and Upload Documentsunder Profile Menu on homepage. 8. How do I update my profile photo? 9. Is all information compulsory to create my profile? Personal information is compulsory to create your profile. The rest of the profile sections are optional. However, the page asks for the necessary information and adding these details will help in our recruitment process and help us serve you better. 10. How do I search for Jobs? To search for a job, go to Jobs menu in home page. This will show you all the jobs. You can filter the jobs according to stream, subjects, location, experience and expected salary. 11. What are the necessary pre-requisite to appear in any recruitment. Your profile must be 100% complete, Make sure ‘Yes’ is marked in ‘Are you looking for job change’ toggle in home page. 12. How can FacultyBox help me in enhancing my knowledge and skills? 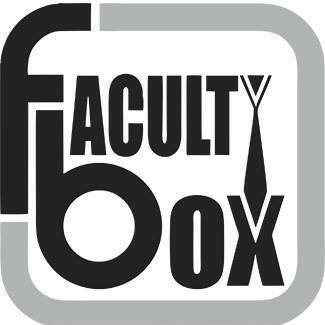 FacultyBox allows you to enhance your skills via two ways, first you can go through the My learning videos and content (Navigation: My learning Menu in Home page) and secondly you can appear in free quiz provided by FacultyBox, you can appear in Free Quiz twice a month to maintain yourbadge status. Your badge will be shared with recruiter in recruitment process with your performance in job exams. 13. How do I stay updated with the latest news? News and articles will keep you up-to-date and well informed about all your education related information needs. You can checkyour timeline/Notification for the news for entrance exam dates, application deadlines, changes in exam pattern, etc , while Blog offers you an interesting range of topics to read educational contents... and much more. You can share/comment/like your thoughts in the timeline section for a particular content. 14. How can I contact FacultyBox? If you have any feedback or suggestions to share for the website, you can write to us at: enquiry@FacultyBox.com or you can chat with our representative on our website. Click 'Hire' button on FacultyBox home page. This will take you hardly 2 minutes to fill up. Just submit your information, verify your mobile number and enjoy the various benefits of being a FacultyBoxInstitution member. 2. Mobile number and E-mail - Is it compulsory? 3. How do I activate my account on FacultyBox? Email id cannot be changed as it is mapped to your account at the time of registration. If you want to change your email id, Contact FacultyBox support. To change your password, Click on Your institute name shown at right top corner and select change my password. Save the new updated password. 6. How do I update profile details? You can update your profile information under Profile Menu on homepage. 7. How do I update my profile photo? 8. Is all information compulsory to create my profile? Personal information is compulsory to post/manage your jobs. 9. How can I advertise on FacultyBox.